WANNEROO Mayor Tracey Roberts will request the State Government assume control of Marmion Avenue and Ocean Reef and Gnangara roads. 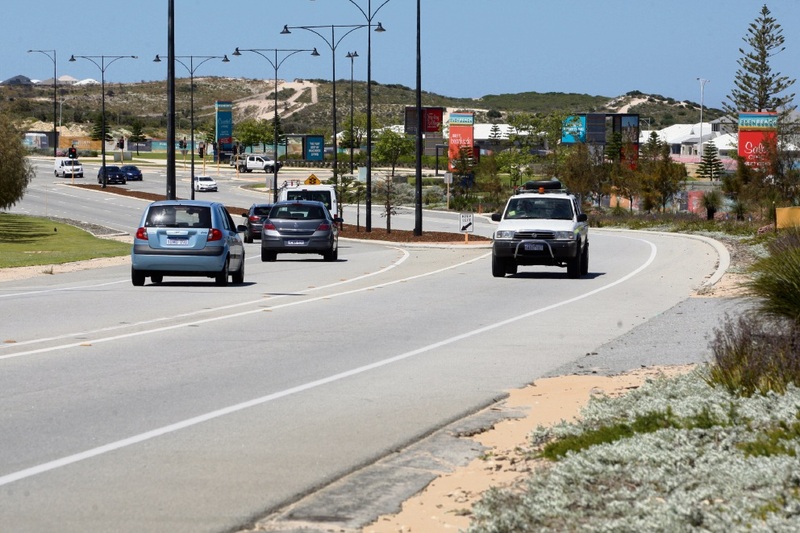 Lengthy discussions again occurred around the City’s report at last Tuesday’s meeting, which recommended the roads’ reclassification as State roads and for the State Government to create dual lanes on Marmion Avenue to Yanchep Beach Road or provide funding for the City to do so as a high priority. Crs Linda Aitken and Sabine Winton declared impartiality interests, as the Liberal candidate for Butler and Labor candidate for Wanneroo respectively in the upcoming State election, and said they would consider the items on merit. An amendment to the recommendation was put forward by Cr Aitken and seconded by Cr Lara Simpkins, which said that if the roads were not reclassified or the State Government did not provide funding for widening Marmion Avenue, then it should be listed for consideration during the City’s budget process as a priority. Cr Aitken described it as a “contingency plan” and said the City had attained funding for |numerous other road works projects. “As a City, we are punching well above our weight accessing these funding grants,” she said. Cr Domenic Zappa raised concerns about ratepayers having to “pick up the bill” if the project was not funded by the State Government. “We need to keep on with the pressure to ensure we get appropriate funding,” he said. “We shouldn’t get to the situation where the burden is back on us if it’s not accepted. Cr Brett Treby said the |absence of State funding would mean increased rates for residents. “(It) would require a 0.8 per cent per annum additional rates charge to each and every resident of the City of Wanneroo for the next 20 years if that were not to be considered a State road,” he said. He also suggested the amendment would undermine the mayor and chief executive’s argument to the Government. Mrs Roberts also disagreed with the change. “The dualling of Marmion Avenue needs to be done under the jurisdiction of the State,” she said. Cr Aitken clarified that the stipulation would not need to be included in the letter to the Government, just for the council’s benefit. She and Cr Simpkins were the only members to vote in favour of the amendment so it was lost, with the original recommendation supported unanimously. The resolution requires that the mayor write to the Premier and Transport Minister requesting the reclassification and widening of Marmion Avenue and for the chief executive to write to the cities of Joondalup and Swan seeking their support for the requests. It also recognises the importance of Yanchep as a strategic metropolitan centre and Ellenbrook as a secondary centre.